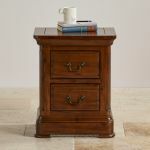 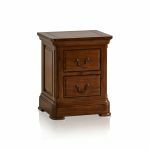 Our Cranbrook bedside table is an eye-catching piece in any bedroom, inspired by traditional furniture shapes and designs. 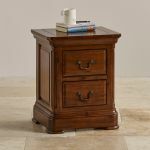 It's made from 100% solid hardwood throughout - even the drawer bases, backs, and runners - and brings long-lasting beauty into your home. 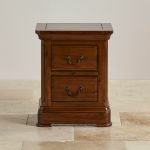 The dark-stained finish completes the look, and adds air of gravitas to the piece. 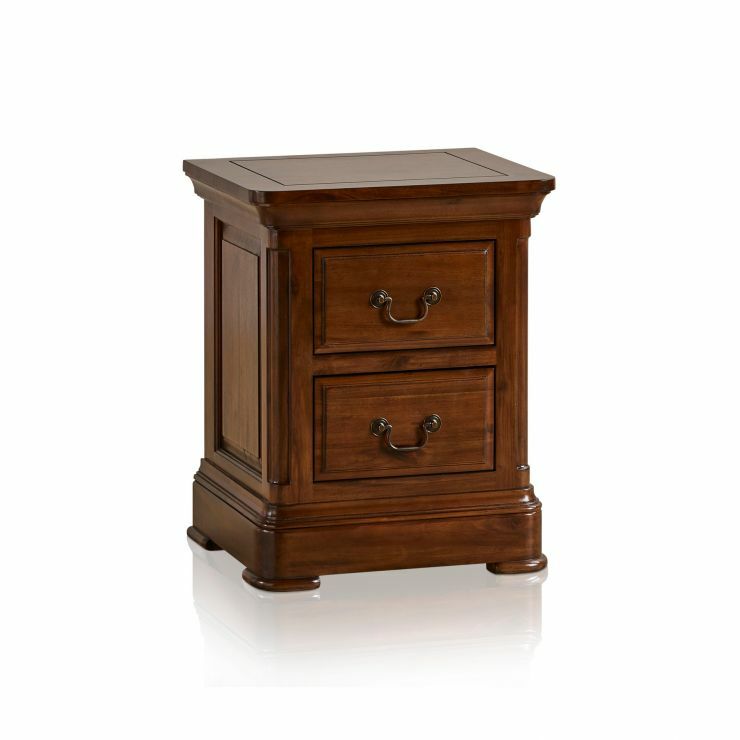 It boasts classical design elements, such as a deep pedestal base and flared cornices, which creates a stately look. 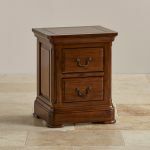 It is finished with stunning antique brass hardware, and real dovetail joints on the drawers, which means they are incredibly durable, and will not bend or bow over time. 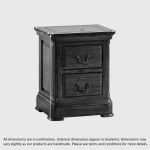 Browse our full selection of Cranbrook furniture, including solid hardwood beds to complete the look.